Last year was very successful for one of Russia’s major defense bestsellers, the Sukhoi Su-30MKI two-seat fighter. Irkut Corp., a subsidiary of United Aircraft Corpora­tion, managed to secure new orders for these aircraft at the end of 2012, boosting the total backlog to almost 400 units. On December 19, Irkut signed a deal with the Russian Defense Ministry for the delivery of 30 Sukhoi Su-30SM fighters through 2016. This is the second such contract with the Russian military for this type; the previous order, for the same number of Su-30SMs with deliveries through 2015, was placed in March 2012. 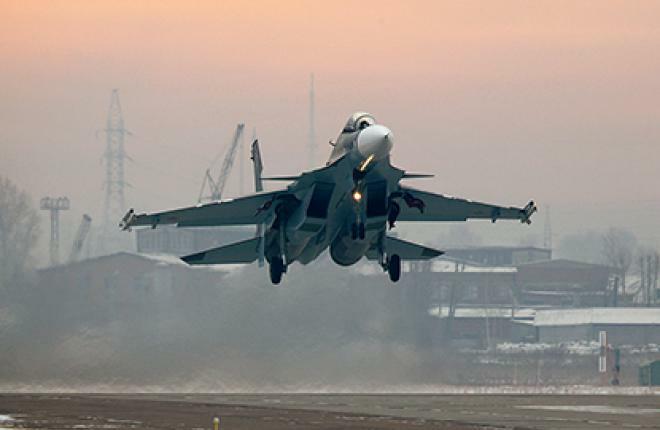 The first two fighters from that batch were handed over to the Russian Air Force in late November last year. Another 10 airframes are expected to be delivered in 2013. The Su-30SM is a variant of Irkutʼs Su-30MKI fighter, customized to meet the Russian Air Force requirements. It has new radar, communications and IFF equipment, new ejection seats, and can also use new types of air-launched munitions, the Air Force says. According to the military, the two-seat Su-30SM will also be used to train the pilots of future highly maneuverable single-seat fighters.